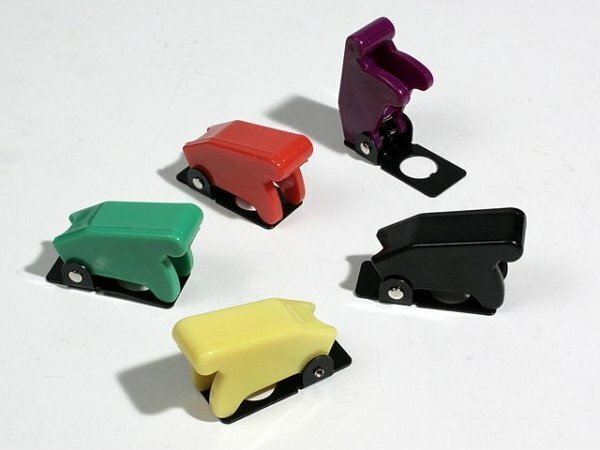 Toggle switch safety covers in a variety of colors. Cover must be opened to activate the switch and closing the cover turns off the switch. Fits standard ½” mounting hole full sized toggle switches. Some of these have scratches and dings (nothing you won't get from having them in an off-road vehicle) from being bulk packaged.